5000642 LEGO Star Wars Exclusive Poster is a poster available if you pre-order any of the first wave of 2012 Star Wars Sets. All Posters ship by January 30, 2012. 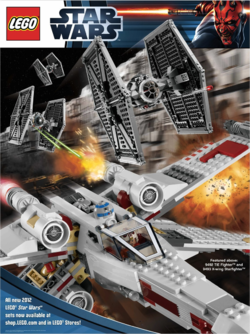 Facts about "5000642 LEGO Star Wars Exclusive Poster"
This page was last edited on 25 December 2016, at 13:30.